Your LinkedIn profile summary is the entire gist of your career path. It is important that your Summary includes everything about your achievements, the positions you held, the places you have traveled, your key skills and your contact information! Presentation: Success is 40% content and 60% presentation. The same holds for your LinkedIn profile summary and role descriptions as well. Even other sections such as Education must be presented well. 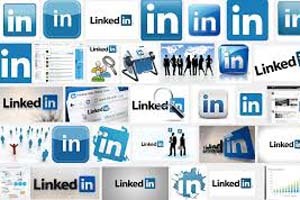 Right Keywords: Whether your LinkedIn profile is written to attract new connections or to attract recruiters, it must contain the right keywords. A LinkedIn profile summary should have at least 3 keywords for which you are trying to sell yourself. Of course, the same holds for the rest of your profile. Skills & endorsements: This is one of the best features which allows you to highlight your LinkedIn profile for the right skills. The more endorsements you have for the right skills, the better. Make sure you have the same skills and endorsements included in your LinkedIn profile summary. Contact information: This is must to include in your Linkedin summary so that people who wish to contact you can find the information readily. If this is not mentioned in the summary, it can also be included in the Additional Details column or any other role description. Needless to say, the LinkedIn profile summary is the first thing anybody reads on your Linkedin profile. Thus, if you are busy or are not readily available for writing it completely, you might as well hire a professional LinkedIn profile writer.